Hacking down the causeway to the first cast. 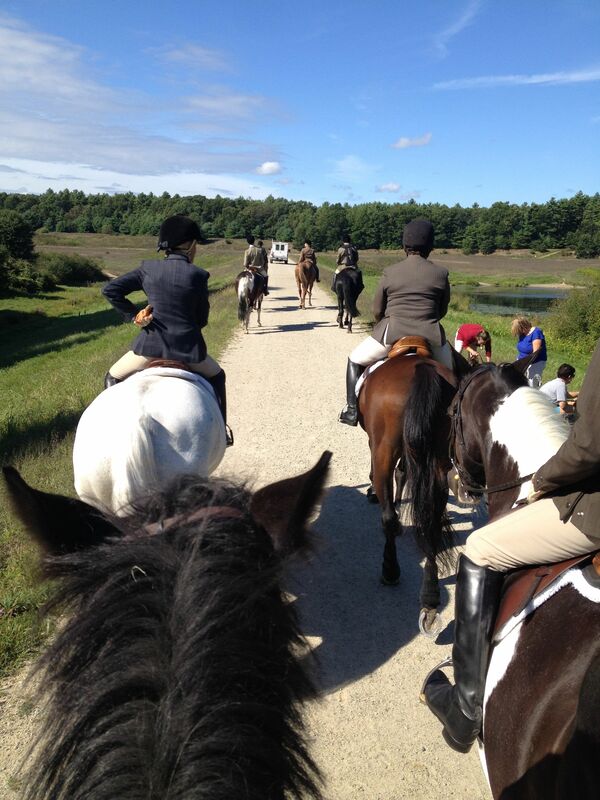 Today was the first day of our fall hunt season and you couldn’t have asked for a better day. It was cool, sunny and spectacular! I decided to ride Zelda because Freedom’s exuberance level has been a bit too high without hunting . . . I wasn’t sure how much fun it would be to bounce continuously for six or seven miles. Zelda was a good choice. She was perfect. And she even walks when asks and stands quietly at the checks. She got the squealing and bucking out of her system before we left home (she had a good old time in her paddock after breakfast) and by the time the hounds were ready to cast she was alert but focused. In this territory the first cast is on a flood plain which gives you prime viewing of the hounds. We had a small field and were able to follow close behind them getting a great view.There were two pups out for their first hunt and watching them was a hoot — Devon has springs in her legs and bounced through the tall grass like a gazelle. The first cast was on a flood plain and offered excellent viewing of the hounds. 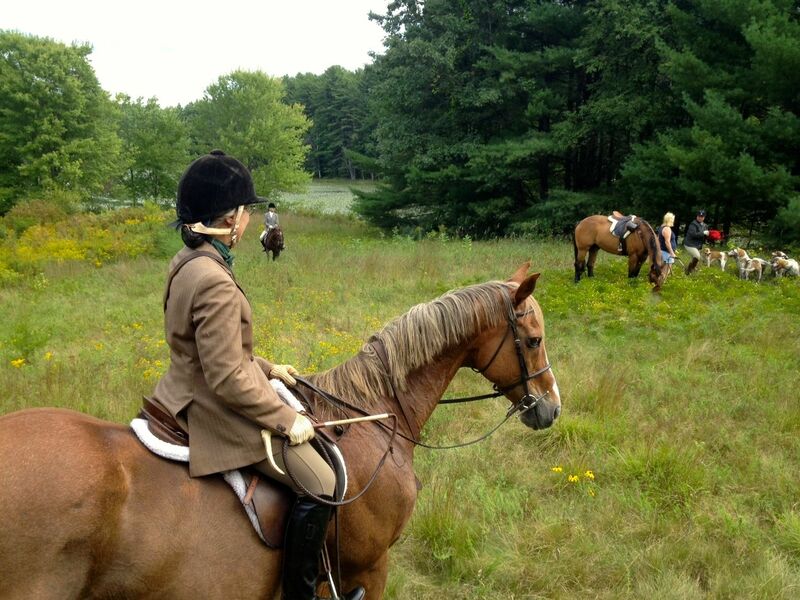 This was Fortune’s first hunt back after recovering from an injury. The first piece was a little over two miles and we covered it at a good clip. Unlike Freedom, who will always canter if given the choice, Zelda prefers a big trot but we also had a some nice canters. 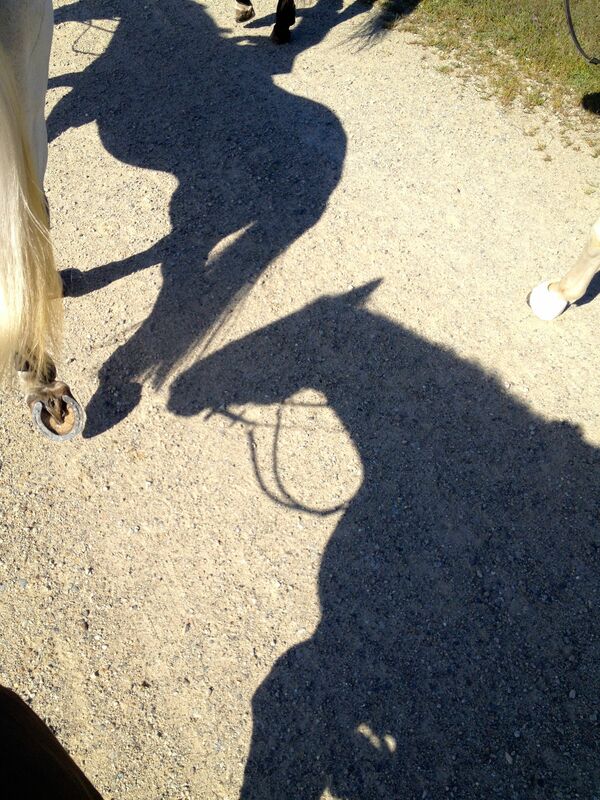 For a big horse she’s surprisingly light on her feet and even over the trappy ground she never tripped. The second piece was through the woods. There were a few logs across the path and she jumped them without any hesitation and without getting quick. I think she’s ready to start jumping out hunting now. We only hunted the first two pieces of the territory. The day was warming up and the hounds had done a terrific job (there was also some concern about ground bees). So we quit while we were ahead and hacked back to the trailer for refreshments. At the second check the hounds got lots of kudos from our huntsman. 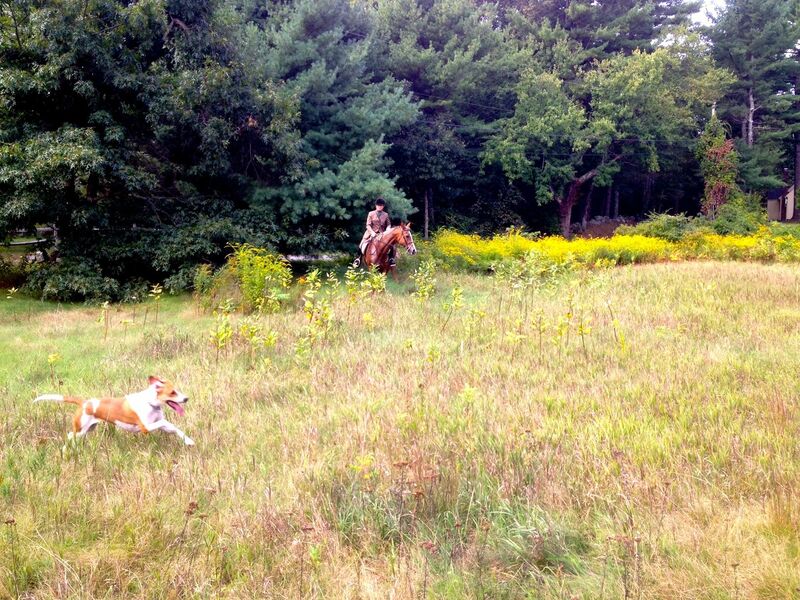 This was Devon’s first hunt. She was a bit shy around the field but we enjoyed watching her bound through the high grass. 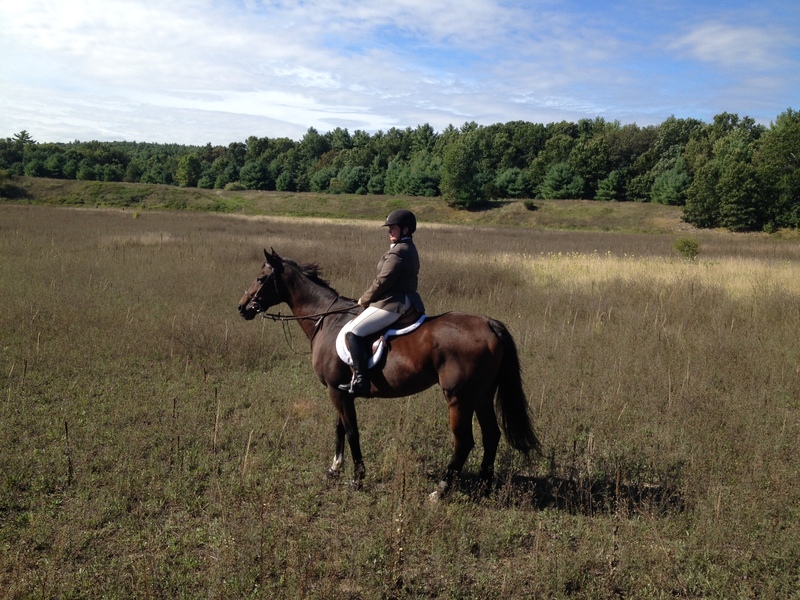 She is going to be a great hunt horse — always good when you discover that your horse likes the same things you do! I always really love your hunting blogs. Love the pic of Devon.